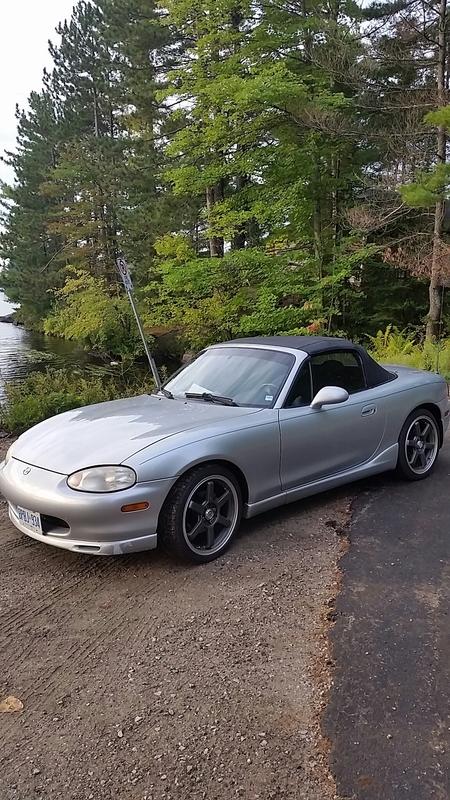 The Miatas of Muskoka are going on a cruise today! It is currently 10 degrees or so with a chance of rain and thunderstorms. No rain at present. I believe we will have 10 cars and will be starting in Washago, a lovely little village and heading in an over- hill over-dale route to Sainte Marie Among The Hurons in Midland. Lunch at Henry’s and then North to Big Chute Marine Railway and ending on Bala. I am hoping the rain holds off so we can see the colours, so keep your fingers crossed!